Here’s something we’ve been doing a lot of lately: outfitting museums and universities with story capture systems to record memories of visitors and alumni. Institutions tend to celebrate their anniversaries at events throughout the year, providing multiple opportunities to gather stories from people who are motivated to share. 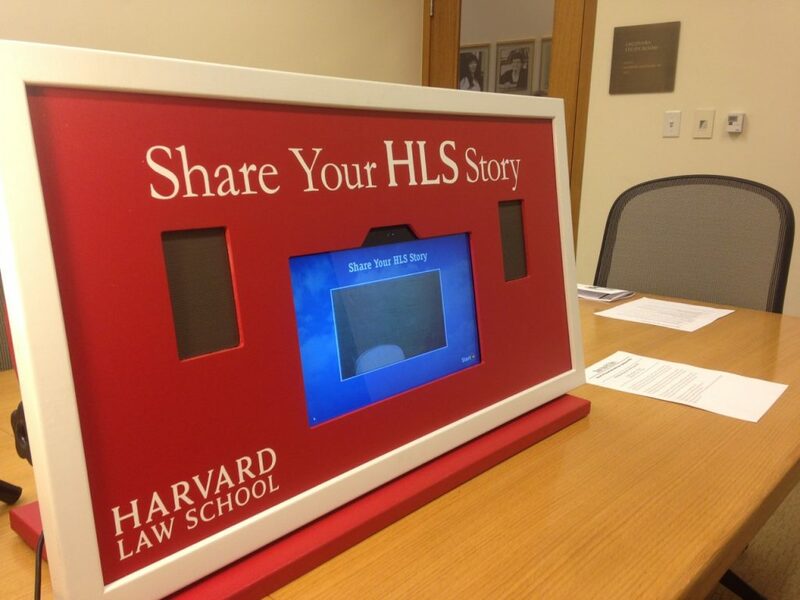 Harvard Law School celebrated it’s 200th and we gathered dozens of stories at alumni events throughout the year, including some great ones on this website. Another milestone project coming up: the City of Durham is celebrating its 150th, and we’re working with the Museum of Durham History to gather stories for this significant milestone. Anniversary years provide a natural reflection point to gather stories from community members. In Durham, the Museum is working in partnership with the City of Durham and Discover Durham to host several engaging events. These events include a kickoff, gala benefit, Jeffersonian dinners, festivals, and more. Each of these community moments presents an opportunity to gather longstanding stories that remain after the event is over. We’re providing a portable Storykiosk with 42 Design Fab that will both live in a permanent exhibit at the Museum, and also be easy to take out to community events. Stories are automatically loaded into our cloud-based content management system easily accessed by multiple partners. We’re looking forward to sharing more about this exciting community storytelling project.